Achieving a more youthful appearance without surgery is easier than ever before with the Pelleve™ Skin Tightening and Wrinkle-Removal System. · Reduce facial, neck and chest wrinkles. 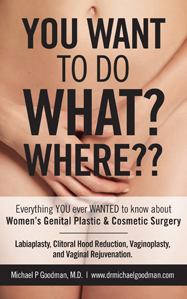 · Achieve a lovely appearance and feel refreshed without surgery. · Therapy performed in-office; no need for messy at-home procedures. · Results guaranteed for one year and can last up to 2+ years. Experience the results through the non-invasive, in-office procedure under the supervision of Dr. Goodman and enjoy one convenient price, covering the initial procedure as well as touch-ups. Pelleve™ is a newly FDA-approved Category II, which means it can only be performed by or under the supervision of a licensed physician. 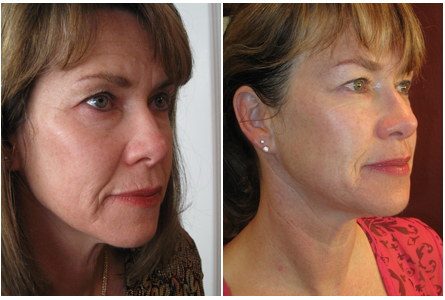 It is a noninvasive procedure designed to tighten sagging skin and remove or soften wrinkles on a long-term basis. Pelleve™ delivers quick results, visibly tightening and smoothing the face and neck, and is one of the few wrinkle treatment systems approved by the FDA. Pelleve™ utilizes RadioFrequency Wave Energy to precisely heat the collagen layer of the dermis, under the skin and above the fat layer, without in any way damaging the epidermis, or top layer, or any structures underneath. The closelycontrolled heat causes the collagen in your skin to contract and tighten. After the treatment, your skin will also start to produce new collagen. The result is an improvement in skin quality, firmness and tightness you can see and feel. A Pelleve™ treatment lasts 1 hour, requires no anesthesia or incisions, is pain-free (you’ll feel moderate heat), and shows immediate results. Some patients will need only one treatment; others with more significant wrinkle depth or more advanced sagging will require a total of 2-3 treatments 3-4 weeks apart to achieve desired results but will still achieve noticeable improvement after the first treatment. · Wrinkles on back of hand and wrist, etc. Pelleve™ Skin Tightening and Wrinkle-Removal System is most appropriate for those with mild to moderate wrinkles and “flattening” or sagging of the face. What are the results of Pelleve™? 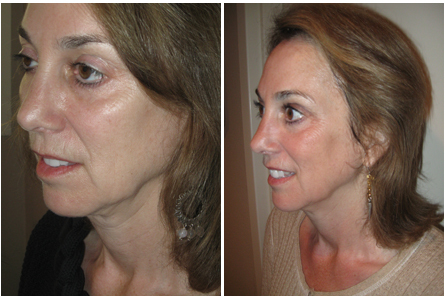 · Results typically last from 1-2 years for the face; longer for the neck and chest. This is a considerable improvement over other systems which must be redone or re-applied on a frequent basis, costing less initially, but much more (both financially and in loss of time during the many in-office or at-home treatments) in the long run. Pelleve™ is a safe, FDA- approved option for those desiring a more youthful appearance and for those who “look old or tired” but are not needing or ready for a facelift. 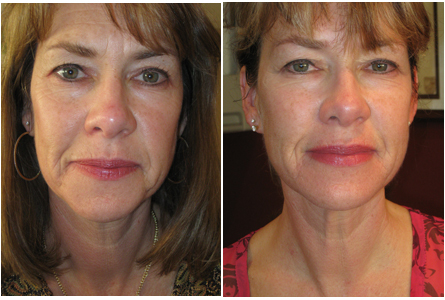 The procedure also provides a more affordable alternative to a traditional facelift. What are the benefits of Pelleve™ over other similar treatments? The main advantage of Pelleve™ is the fact that its results last a full year or longer. “Touch-ups” are provided for free within the first year; re-treatments after 1 year are provided at a guaranteed 20% discount. Also, the treatment is quick and painless. 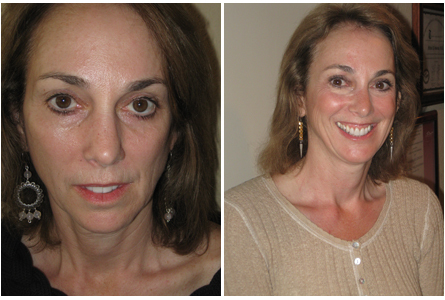 Finally, as an FDA approved procedure, Pelleve™ is a safe option for those desiring a more youthful appearance. *Price if treatment is added to other area series. For more information on achieving youthful, beautiful skin through Pelleve™ Skin Tightening and Wrinkle-Removal System, call Dr. Goodman at (530) 753-2787.